Pre-heat the oven to 350 Fahrenheit / 180 Celsius. 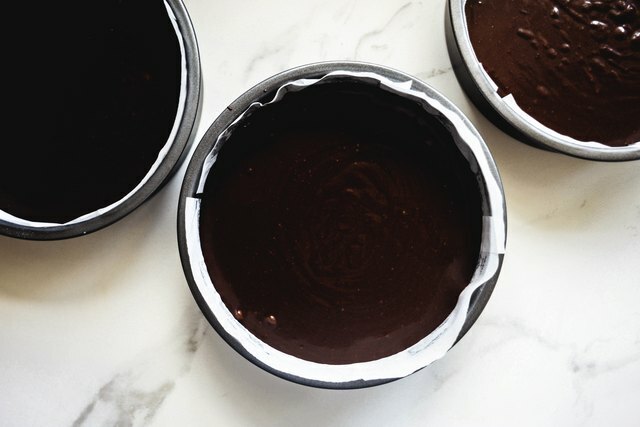 Grease and line 3 x 7 inch / 18 centimetre cake pans with baking parchment paper. Set them aside. 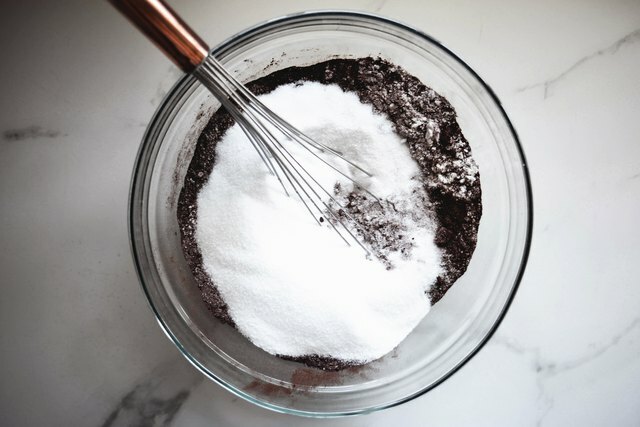 In a large mixing bowl, whisk together the flour, dutch processed cocoa powder, baking powder, baking soda and salt until evenly distributed. Pour the melted butter and milk into the dry ingredients. 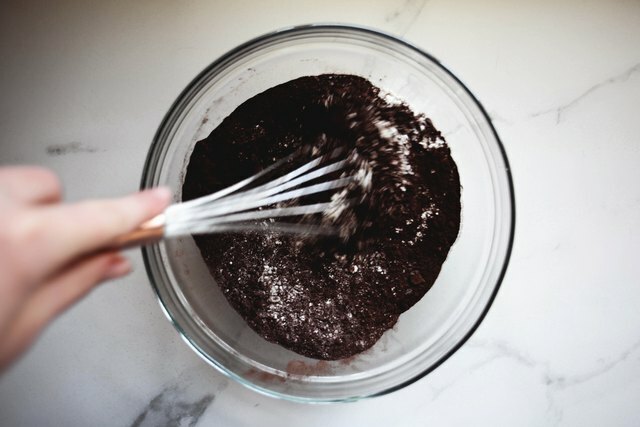 Stir with a large wooden spoon or use a balloon whisk, to mix until smooth. Add in the eggs, one at a time, and whisk until the cake batter is thick, smooth and glossy. Pour in the coffee flavored boiling water. Stir until smooth. Divide the cake batter between the prepared pans. Bake for 35 to 45 minutes, or until the cakes have risen and a wooden skewer or cake tester inserted into the middle comes out clean. Let the cakes cool in their pans for 15 minutes before inverting out and onto a wire rack to let cool completely. 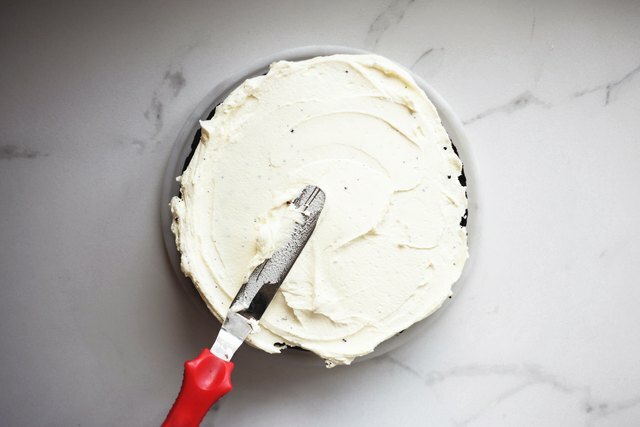 Once cool, level off any domed tops with a large serrated knife or cake leveler. Set aside for assembly. In the bowl of a stand mixer fitted with the beater attachment, or with handheld electric beaters, cream the butter on medium speed until it is smooth and malleable, 2 minutes. Add in the confectioners' sugar and beat until well combined, 2 more minutes. 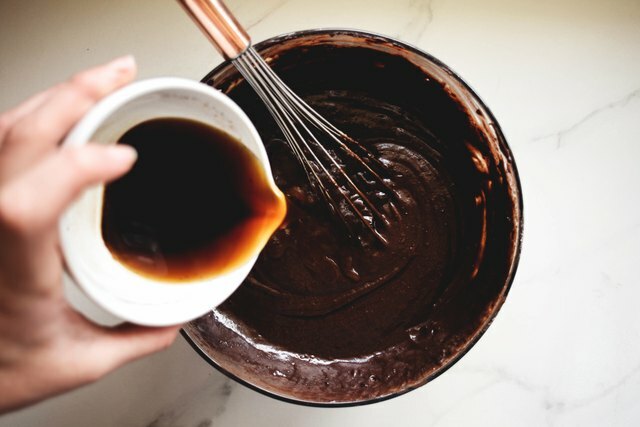 Pour in the melted white chocolate and beat until combined, then increase the speed to medium-high and beat until the frosting is thick, light in color and fluffy, 4 more minutes. Place the first leveled cake layer, cut side facing up, on a cake stand or serving platter. 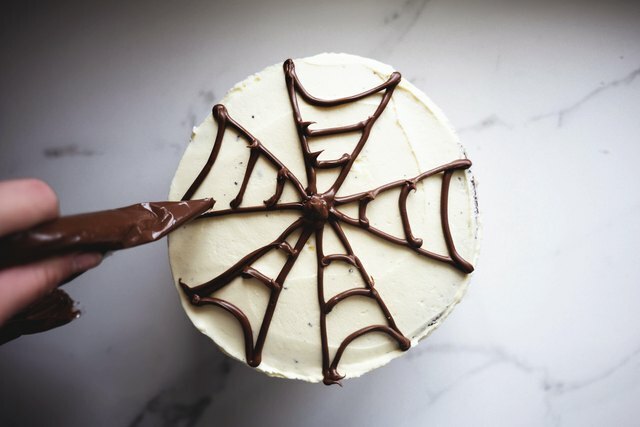 Spread three tablespoons of the buttercream frosting over the top of it, then use an offset spatula or butter knife to smooth it out and into a thick layer. Press on the next leveled cake layer and repeat the frosting process, as above. Gently press on the final leveled cake layer, cut side facing down. 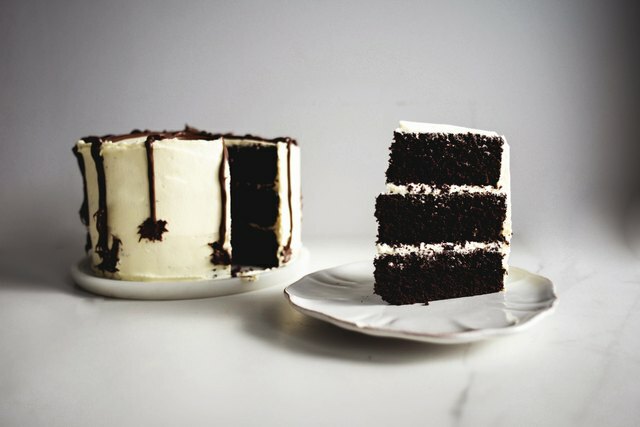 Thickly frost the entire cake with the remainder of the buttercream. Set the cake in the refrigerator to chill until the buttercream has hardened, at least 30 minutes. Remove the cake from the refrigerator. 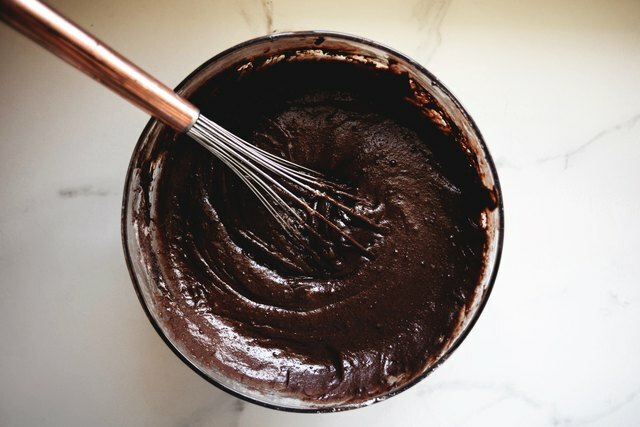 Place the chocolate hazelnut spread in a pastry bag and snip off the tip. 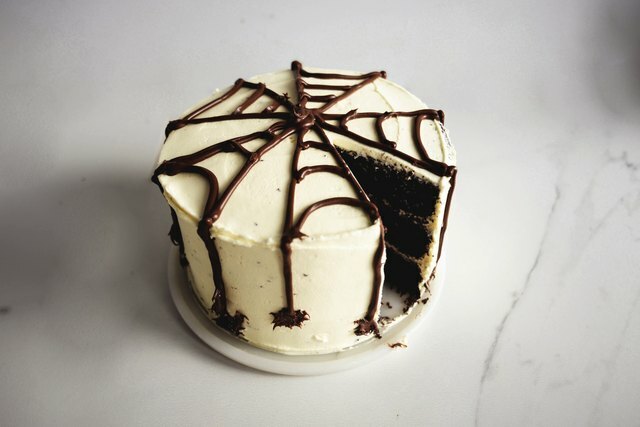 Evenly pipe the chocolate hazelnut spread on top of the cake to form a 'spider web' pattern. 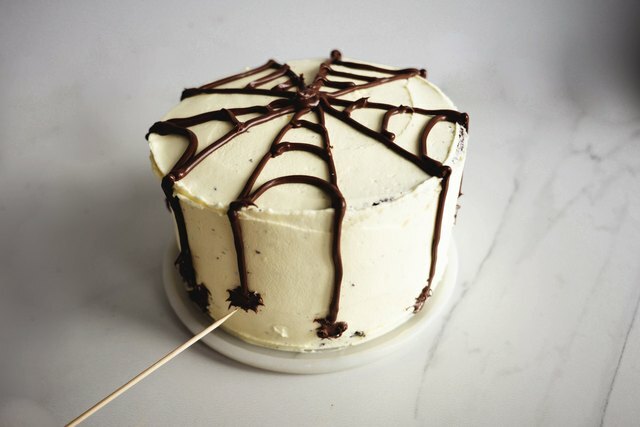 The cake can be decorated with as rough, or as intricate, a spider web pattern as desired. Set the cake in the refrigerator to harden the decoration, 20 minutes. Let the cake stand at room temperature for at least 15 minutes before slicing and serving. 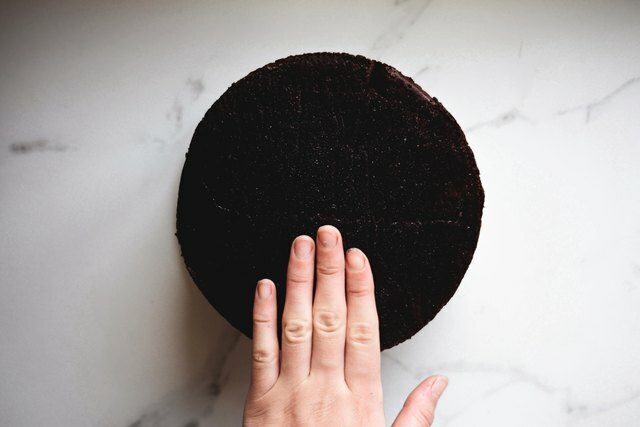 The cake can be stored for up to three days in an airtight container set in the refrigerator, or for two days at room temperature.